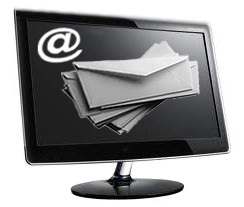 We send our articles direct to you by email subscription when they are published! It’s a service run by ‘Google Feedburner’. Your privacy is fully protected. Put your email address in the email subscription box below. Then press “Subscribe”. On the next page the Google Feedburner service asks you to verify the request. It’s that simple. You will get an email from us every day we publish a new post . When you subscribe you get an email from the “Google Feedburner” service. This is so Google can verify your email address and check you ordered the service. Click the link in that email to verify you want to receive our email subscription. If you did not receive the “Google Feedburner” email check your ‘spam’ folder. It is possible it went into there. Sometimes the email service gets busy. Delivery is not always instant. You may have to wait a few minutes for the email. Not received the email at all (rare)? Please re-submit using the email subscription form above. If you have any problems please send us an email via our Contact Us page. Please explain the problem in as much detail as you can. Thank you.